Natural materials are processed using energy for the manufacture of construction materials and building products. Construction industry is associated with two problems; consumption of huge quantities of unsustainably extracted mined raw materials and the associated carbon emissions. Indian construction industry is the largest in terms of volume of materials produced and is responsible for nearly 30% of green house gas (GHG) emissions. Energy in buildings comprises of embodied energy and energy for maintenance during its life cycle. Maintenance energy in buildings greatly depends upon the local climatic conditions. There is a need for reducing energy in buildings in order to contain GHG emissions. 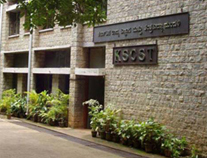 Department of Civil Engineering, Centre for Sustainable Technologies and Karnataka State Council for Science & Technology, the Indian Institute of Science are involved in developing and disseminating large number of low carbon building materials since the last three decades. More than a dozen energy efficient building technologies have been developed and disseminated. Large numbers of buildings have been built using these new materials. Such buildings are energy efficient and result in at least 50% reduction in carbon emissions. There is a demand for the knowledge on low carbon building materials and systems. The workshop is aimed at disseminating this knowledge to the architects and engineers focused on the promotion of green building projects. Workshop comprises of lectures, hands-on training and demonstration of construction techniques. Broad topics covered include Energy in buildings, Green building concepts, low carbon building materials (stabilised soil blocks, rammed earth, fly ash bricks, soil based building products, materials from solid wastes, etc. ), alternative roofing systems, masonry vaults and domes, Bi-PV and climate responsive architecture. In addition, the afternoon sessions will be on hands on training and demonstration classes on the production of stabilised soil blocks, fly ash blocks and rammed earth elements, masonry bonding, masonry domes, precast elements, etc. and field visits. Faculty from the Department of Civil Engineering, Centre for Sustainable Technologies, Karnataka State Council for Science and Technology, and other invited experts.